An omnibus liquor law bill was narrowed and amended to include provisions related to bottle clubs April 3. 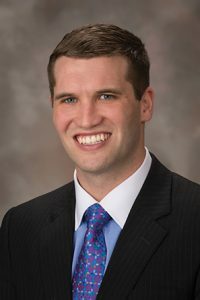 LB1120, as introduced by Sen. Tyson Larson of O’Neill, would have made a variety of changes to the Nebraska Liquor Control Act. A General Affairs Committee amendment, adopted 36-0, removed all sections of the bill except for a provision that would create the Music Licensing Agency Act. The act would require a music licensing agency to register with the state Department of Revenue starting Jan. 1, 2019, and file an annual electronic copy of each performing rights agreement that provides for payment of royalties made available from the music licensing agency to any Nebraska proprietor. A $10,000 fine would be imposed for each 45-day period following each Feb. 15 if a music licensing agency fails to renew a registration or engages in business without registration. Larson said the act is intended to stop Nebraska businesses from being harassed. “The Music Licensing Agency Act would provide protections for any venue that hosts live music performances and are being aggressively contacted by agencies claiming to hold copyrights to the music being performed and demanding a licensing fee,” he said. Omaha Sen. Theresa Thibodeau offered an amendment to the committee amendment, adopted 34-0, that would provide licensure for bottle clubs—private clubs where members bring their own alcohol. Thibodeau introduced LB747 this session in an effort to regulate bottle clubs, but said the provisions in the amendment were a compromise taken from the committee’s 2017 omnibus liquor bill, which stalled during debate last session over unrelated considerations. 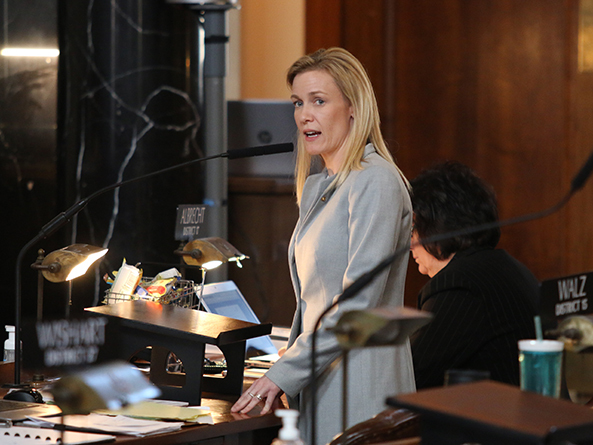 “This amendment would provide the Liquor Control Commission with the means to license and regulate bottle clubs,” she said. The amendment would define bottle clubs and establish a new license for such establishments with a $300 application fee. A bottle club licensee could not hold any other license under the Nebraska Liquor Control Act and would be required to close between 5 a.m. and 6 a.m.
A club’s private membership list would not be made public except as required by a court order, warrant or subpoena. Thibodeau said the provisions would need to be worked on before select file to ensure appropriate enforcement mechanisms and penalties for noncompliance, which she said is important given the role that bottle clubs play in human trafficking. Larson said he was willing to work on specific enforcement measures, although he emphasized that human trafficking is a separate issue. • allowing a party to apply for a rehearing when a liquor license application is denied by the Liquor Control Commission. Following adoption of the amendments, LB1120 advanced to select file on a 41-0 vote.